Following the success of the MACCHIATObin® development platform, which was released back in the spring, Marvell and technology partner SolidRun have now announced the next stage in the progression of this hardware offering. After drawing on the customer feedback received, a series of enhancements to the original concept have subsequently been made, so that these mini-ITX boards are much more optimized for meeting the requirements of engineers. Marvell and SolidRun announce the availability of two new MACCHIATObin products that will supersede the previous release. They are the MACCHIATObin Single Shot and the MACCHIATObin Double Shot boards. As before, these mini-ITX format networking community boards both feature the powerful processing capabilities of Marvell’s ARMADA® 8040 system-on-chip (SoC) and stay true to the original objective of bringing an affordable Arm-based development resource with elevated performance to the market. However, now engineers have a choice in terms of how much supporting functionality comes with it – thus making the platform even more attractive and helping to reach a much wider audience. The more streamlined MACCHIATObin Single Shot option presents an entry level board that should appeal to engineers with budgetary constraints. This has a much lower price tag than the original board, coming in at just $199. It comes with two 10G SFP+ connectors without the option of two 10G copper connectors, and also doesn’t come with default DDR4 DIMM as its predecessor, but still has a robust 1.6GHz processing speed. This is complemented by the higher performance MACCHIATObin Double Shot. This unleashes the full 2GHz of processing capacity that can be derived from the ARMADA 8040, which relies on a 64-bit quad-core Arm Cortex-A72 processor core. 4GB of DDR4 DIMM is included. At only $399 it represents great value for money – costing only slightly more than the original, but with extra features and stronger operational capabilities being delivered. It comes with additional accessories that are not in the Single Shot package – including a power cable and a microUSB-to-USB cable. Both the Single Shot and Double Shot versions incorporate heatsink and fan mechanisms in order to ensure that better reliability is maintained through more effective thermal management. The fan has an airflow of 6.7 cubic feet per minute (CFM) with low noise operation. A number of layout changes have been implemented upon the original design to better utilize the available space and to make the board more convenient for those using it. For example, the SD card slot has been moved to make it more accessible and likewise the SATA connectors are now better positioned, allowing easier connection of multiple cables. The micro USB socket has also been relocated to aid engineers. A 3-pin UART header has been added to the console UART (working in parallel with FTDI USB-to-UART interface IC). This means that developers now have an additional connectivity option that they can utilize, making the MACCHIATObin community board more suitable for deployment in remote locations or where it needs to interface with legacy equipment (that do not have a USB port). The DIP switches have been replaced with jumpers, which again gives the boards greater versatility. The JTAG connector is not assembled by default, the PCI Express (PCIe) x4 slot has been replaced with an open PCIx4 slot so that it can accommodate a wider variety of different board options (like x8 and x16, as well as x4 PCIe) such as graphics processor cards, etc. to be connected. Furthermore, the fixed LED emitter has been replaced by one that is general purpose input/output (GPIO) controlled, thereby enabling operational activity to be indicated. The fact that these units have the same form factor as the original, means that they offer a like-for-like replacement for the previous model of the MACCHIATObin board. Therefore existing designs that are already using this board can be upgraded to the higher performance MACCHIATObin Double Shot version or conversely scaled down to the MACCHIATObin Single Shot in order to reduce the associated costs. Together the MACCHIATObin Double Shot and Single Shot boards show that the team at Marvell are always listening to our customer base and responding to their needs. Learning from the first MACCHIATObin release, we have been able to make significant refinements, and consequently develop two new very distinct product offerings. One that addresses engineers that are working to a tight budget, for which the previous board would not have been viable, and the other for engineers that want to boost performance levels. The data requirements of modern society are escalating at a relentless pace with new paradigms changing the way data is processed. The rapidly rising volume of data that is now being uploaded and downloaded from the cloud (such as HD video or equally data-intensive immersive gaming content) is putting incredible strain onto existing network infrastructure – testing both the bandwidth and data density speeds that are supported. The onset of augmented reality (AR) and virtual reality (VR) will require access to considerable processing power, but at the same time mandate extremely low latency levels, to prevent lag effects. The widespread roll-out of IoT infrastructure, connected cars, robotics and industrial automation systems, to name a few, will also have uncompromising processing and latency demands that are simply not in line with current network architectures. Transporting data from the network edge back to centralized servers (and vice versa) takes time, and hence adds an unacceptable level of latency to certain applications. All this will mean that fundamental changes need to be made. Rather than having all the processing resources located at the center of the network, a more distributed model is going to be needed in the future. Though the role of centralized servers will unquestionably still be important, this will be complemented by remote servers that are located at the edge of the network – thus making them closer to the users themselves, and thereby mitigating latency issues which is critical for time-sensitive data. The figures on this speak for themselves. It is estimated that by 2020, approximately 45% of fog computing-generated data will be stored, processed, analyzed and subsequently acted upon either close to or at the edge of the network. Running in tandem with this, data centers will look to start utilizing in-storage processing. Here, in order to alleviate CPU congestion levels and mitigate network latency, data processing resources are going to start being placed closer to the storage drive. This, as a result, will dispense with the need to continuously transfer large quantities of data to and from storage reserves so that it can be processed, with processing tasks instead taking place inside the storage controller. The transition from traditional data centers to edge-based computing, along with the onset of in-storage processing, will call for a new breed of processor devices. In addition to delivering the operational performance that high throughput, low latency applications will require, these devices will also need to meet the power, cost and space constraints that are going to characterize edge deployment. Through the highly advanced portfolio of ARMADA® Arm-based multi-core embedded processors, Marvell has been able to supply the industry with processing solutions that can help engineers in facing the challenges that have just been outlined. These ICs combine high levels of integration, elevated performance and low power operation. Using ARMADA as a basis, the company has worked with technology partners to co-develop the MACCHIATObin™ and ESPRESSObin® community boards. 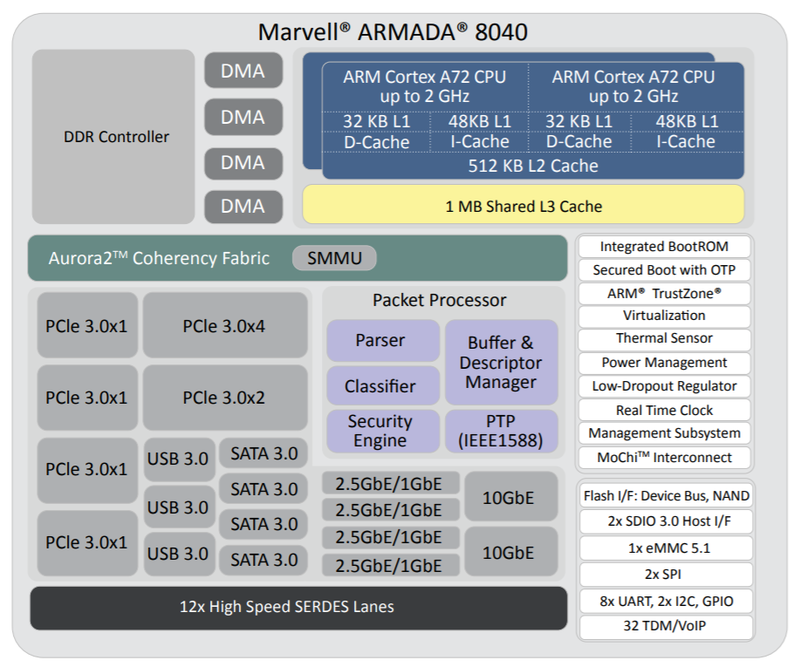 The Marvell community boards, which each use 64-bit ARMADA processors, bring together a high-performance single-board computing platform and open source software for developers and designers working with a host of networking, storage and connectivity applications. They give users both the raw processing capabilities and the extensive array of connectivity options needed to develop proprietary edge computing applications from the ground up. Incorporating a total of 6 MACCHIATObin boards plus a Marvell high density Prestera DX 14 port, 10 Gigabit Ethernet switch IC, the NFV PicoPod from PicoCluster is another prime example of ARMADA technology in action. This ultra-compact unit provides engineers with a highly cost effective and energy efficient platform upon which they can implement their own virtualized network applications. Fully compliant with the OPNFV Pharos specification, it opens up the benefits of NFV technology to a much broader cross section of potential customers, allowing everyone from the engineering teams in large enterprises all the way down to engineers who are working solo to rapidly develop, verify and deploy virtual network functions (VNFs) – effectively providing them with their own ‘datacenter on desktop’. The combination of Marvell IoT enterprise edge gateway technology with the Google Cloud IoT Core platform is another way via which greater intelligence is being placed at the network periphery. The upshot of this will be that the estimated tens of billions of connected IoT nodes that will be installed over the course of the coming years can be managed in the most operationally efficient manner, offloading much of the workload from the core network’s processing capabilities and only utilizing them when it is completely necessary. 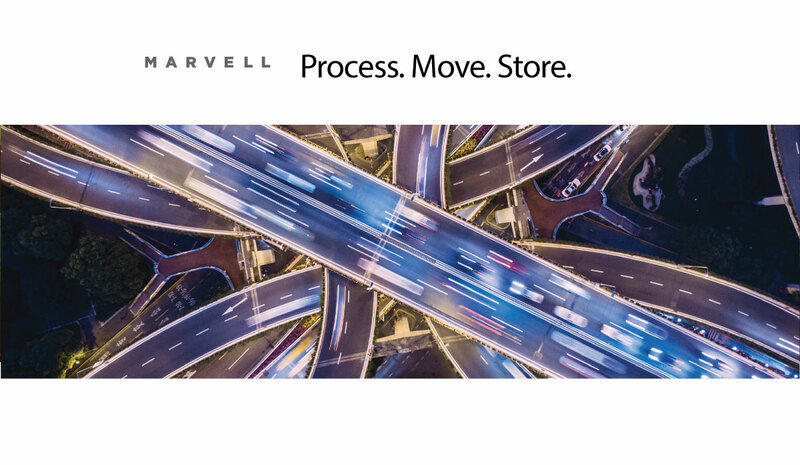 Check out www.marvell.com to learn more about how Marvell is processing the world’s data. A number of emerging companies that serve the networking and data storage sectors are increasingly using Marvell’s popular community board – the Marvell ESPRESSObin® platform – in their product offerings. ZeroTier Edge is the latest appliance to be added to what is an ever growing list of such product offerings. With this new product, Irvine-based start-up ZeroTier is looking to make the wide area network (WAN) much more local. According to ZeroTier, by using ZeroTier Edge, it is possible to create secure and robust LANs that can connect with a broad array of different devices across multiple locations. This means that a greater scope of equipment will now be able to gain access to virtual network infrastructure as it continues to be rolled out, without the associated software element needing to be installed. This feature overcomes current obstacles that are holding back more widespread use of such connectivity. For example, in relation to some legacy equipment (office peripherals, building automation systems, surveillance cameras, industrial control mechanisms, etc. ), installing this software simply isn’t an option, or in other cases (like where a large number of computers are involved), it is just impractical. Furthermore, using ZeroTier Edge mitigates the serious security issues that installing software onto a multitude of connected devices could potentially raise. Relying on Marvell’s ARMADA® system-on-chip (SoC) technology and open source software, the ZeroTier Edge is a compact and highly versatile unit that can be located on a desktop and addresses a plethora of software-defined networking applications. This unit delivers enterprise-grade VPN, SD-WAN and network virtualization functionality. ZeroTier Edge basically acts as a pre-configured layer 2 bridge that provides the physical ports (both wired and wireless) needed to enable hardware (like the examples set forth above) to connect with virtualized networks. Its ease of use means that this unit can even be installed by non-IT staff. As a result, ZeroTier is able to offer enterprise customers a unique plug-and-play solution such that they can get the full benefit of software-defined networking without needing to implement the complex and costly bridging arrangements that would otherwise be required. Each ZeroTier Edge unit incorporates a Marvell ESPRESSObin single board computing platform that has been purpose built for supporting open source development activity of this kind within the networking space. The board features a high performance ARMADA 3700 dual core 64-bit ARM®-based processor that is capable of running at speeds of 1.2GHz. This IC allows the ZeroTier Edge to deal with up to 1Gbps of incoming/outgoing encrypted data traffic. 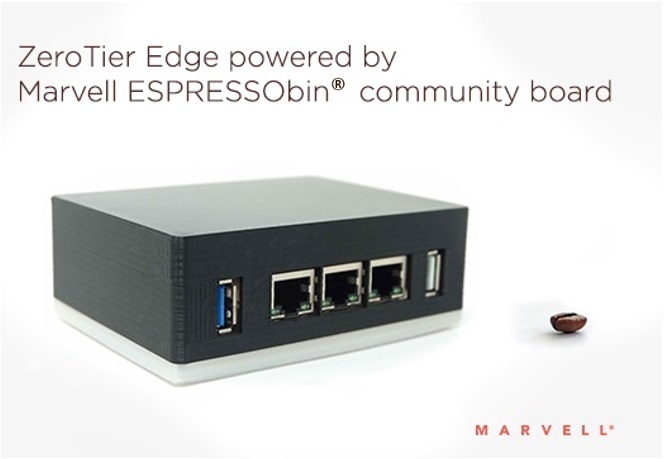 Through the Marvell ESPRESSObin board, ZeroTier Edge can also take advantage of extensive I/O capabilities, with 3x Gigabit Ethernet ports, a USB 3.0 SuperSpeed interface, plus dual band 802.11ac Wi-Fi®, SATA (for connection to network data storage resources) and mini PCIe. 1GByte of on-board DRAM memory and 4GBytes of flash memory are supported, too, with provision for attaching additional memory capacity using the SD card slot. There are also ample GPIO pins available. Thanks to the Marvell ESPRESSObin board’s ability to provide strong operational performance at an attractive price point, implementing ZeroTier Edge into customers’ networks doesn’t require a heavy investment. The product is currently going through the crowdfunding process and has already gained over 90% of its target figure. The initial units are expected to start shipping in early 2018. Thanks to its collaboration with leading players in the OpenWrt and security space, Marvell will be able to show those attending the OpenWrt Summit (Prague, Czech Republic, 26-27th October) new beneficial developments with regard to its Marvell ARMADA® multi-core processors. In collaboration with contributors Sartura and Sentinel, these developments will be demonstrated on Marvell’s portfolio of networking community boards that support the 64-bit Arm® based Marvell ARMADA processor devices, by running the increasingly popular and highly versatile OpenWrt operating system, plus the latest advances in security software. We expect these new offerings will assist engineers in mitigating the major challenges they face when constructing next-generation customer-premises equipment (CPE) and uCPE platforms. On display at the event at both the Sentinel and Sartura booths will be examples of the Marvell MACCHIATObin™ board (with a quad-core ARMADA 8040 that can deliver up to 2GHz operation) and the Marvell ESPRESSObin™ board (with a dual-core ARMADA 3700 lower power processor running at 1.2GHz). The boards located at the Sartura booth will demonstrate the open source OpenWrt offering of the Marvell MACCHIATObin/ESPRESSObin platforms and will show how engineers can benefit from this company’s OpenWrt integration capabilities. The capabilities have proven invaluable in helping engineers expedite their development projects more quickly and allow the full realization of initial goals set for such projects. The Sartura team can take engineers’ original CPE designs incorporating ARMADA and provide production level software needed for inclusion in end products. 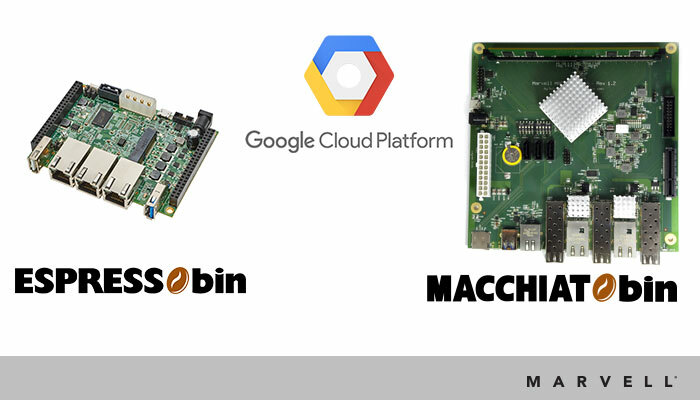 Marvell will also have MACCHIATObin/ESPRESSObin boards demonstrated at the Sentinel booth. These will feature highly optimized security software. Using this security software, companies looking to employ ARMADA based hardware in their designs will be able to ensure that they have ample protection against the threat posed by malware and harmful files – like WannaCry and Nyetya ransomware, as well as Petya malware, etc. This protection relies upon Sentinel’s File Validation Service (FVS), which inspects all HTTP, POP and IMAP files as they pass through the device toward the client. Any files deemed to be malicious are then blocked. This security technology is very well suited to CPE networking infrastructure and edge computing, as well as IoT deployments. Sentinel’s FVS technology can also be implemented on vCPE/uCPE as a security virtual network function (VNF), in addition to native implementation over physical CPEs – providing similar protection levels due to its extremely lightweight architecture and very low latency. FVS is responsible for identifying download requests and subsequently analyzing the data being downloaded. This software package can run on all Linux-based embedded operating systems for CPE and NFV devices which meet minimum hardware requirements and offer the necessary features. 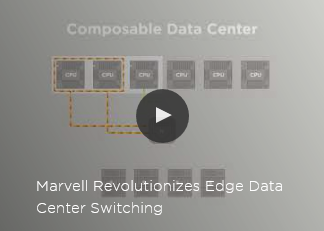 Through collaborations such as those described above, Marvell is building an extensive ecosystem around its ARMADA products. As a result, Marvell will be able to support future development of secure, high performance CPE and uCPE/vCPE systems that exhibit much greater differentiation. The quantity of data storage that each individual now expects to be able to have access to has ramped up dramatically over the course of the last few years. This has been predominantly fueled by society’s ravenous hunger for various forms of multimedia entertainment and more immersive gaming, plus our growing obsession with taking photos or videos of all manner of things that we experience during an average day. The emergence of the ‘connected home’ phenomenon, along with greater use of wearable technology and the enhanced functionality being incorporated into each new generation of smartphone handset have all contributed to our increasingly data oriented lives. As a result each of us is generating, downloading and transferring larger amounts of data-heavy content than would have been even conceivable a relatively short while in the past. For example, market research firm InfoTrends has estimated that consumers worldwide will be responsible for taking over 1.2 trillion new photos during 2017 (that is more than double the figure from 5 years ago). Furthermore, there are certainly no indications that the dynamics that are driving this will weaken and everything will start to slow down. On the contrary, it is likely that the pace will only continue to accelerate. If individuals are to keep on amassing personal data at current rates, then it is clear that they will need access to a new form of flexible storage solution that is up to the job. In a report compiled by industry analysts at Technavio, the global consumer network attached storage (NAS) market is predicted to grow accordingly – witnessing an impressive 11% compound annual growth between now and the end of this decade. Though, it must be acknowledged, that we are shifting an increasing proportion of our overall data storage needs to the cloud, the synching of large media files for use in the home environments can often prove to be impractical, because of latency issues arising. Also there are serious security issues associated with relying on cloud-based storage when it comes to keeping certain personal data and these need to be given due consideration. Start-up company Kobol has recently initiated a crowdfunding campaign to garner financial backing for its Helios4 offering. The first of its kind – this is an open source, open hardware NAS solution that will allow the storing and sharing of music, photos and movies through connection to the user’s home network. It presents consumers with a secure, flexible and rapidly accessible data storage reserve with a capacity of up to 40 TeraBytes (which equates to around 700,000 hours of music, 20,000 hours of movies or 12 million photos). Helios4 has small dimensions. Built-in RAID redundancy is included in order for ongoing reliability to be assured. This means that even if one of the 4 hard drives (each delivering 10 TeraBytes) were to crash, the user’s content would remain safely stored, as the data is mirrored onto another of its drives. The result is a compact, cost effective and energy saving storage solution, which acts like a ‘personal cloud’. Inspired by the open hardware, collaborative philosophy, Helios4 can be supplied as a simple to assemble kit that engineers can then assemble themselves. Otherwise, for those with less engineering experience it comes as a straightforward to use out-of-the-box solution. It offers a high degree of flexibility and a broad array of different connectivity options. At the heart of the Helios4’s design is a sophisticated ARMADA 388 32-bit ARM-based system-on-chip (SoC) from Marvell, which combines high performance benchmarks with power frugal operation. Based on 28nm node, low power semiconductor technology, its dual-core ARM Cortex-A9 processing resource is capable of running at speeds of up to 1.8 GHz. USB 3.0 SuperSpeed and SATA 3.0 ports are included so that elevated connectivity levels can be supported. Cryptographic mechanisms are also integrated to maintain superior system security. By clicking on the following link you can learn more about the Helios4 Kickstarter campaign. For those interested in getting involved, the deadline to make a contribution is 19th June.